World War I – known at the time as “The Great War” - officially ended when the Treaty of Versailles was signed on June 28, 1919, in the Palace of Versailles outside the town of Versailles, France. However, fighting ceased on the 11th hour, of the 11th day, in the 11th month of 1918 when an armistice (truce) took effect making it all quiet on the western front. The fighting had ended and the First World War was over for all intent and purposes. To commemorate, many nations declared this day as a national holiday to help remember those lost during the war. This day of remembrance came to be known as Armistice Day. After WWII, the name of the holiday was changed to Veterans Day in the United States, Remembrance Day in the British Commonwealth of Nations and Day of Peace in Belgium and is now a day to honor veterans of all wars. 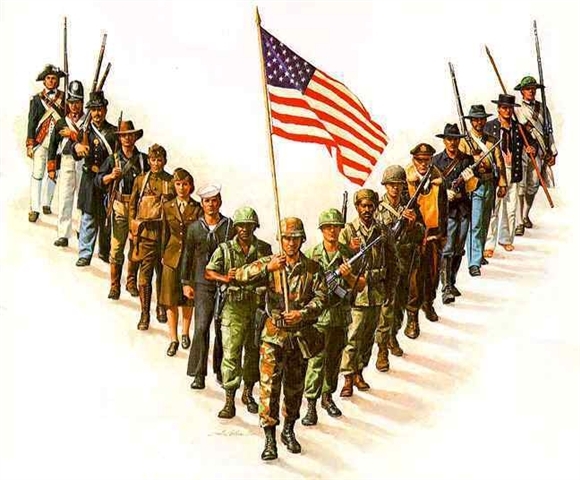 To read a History of Veterans Day, click here. On this Veterans Day 2011, we once again take a sacred moment to remember all who have so bravely served this country.